Kids yoga classes suitable for 5-14 year olds. These sessions are facilitated by Thrive Yoga for Kids and will utilise a broad range of lessons and techniques to introduce kids to yoga and mindfulness. Fantastic for flexibility and strength, learning relaxation skills, posture, concentration, coordination, body awareness, self-confidence and self-esteem. Classes are booked as a term and the total cost for Term 2 (8 weeks of classes) is $100 (sibling discount is available). 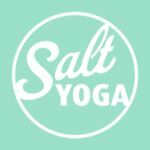 Salt Yoga class cards cannot be used for these sessions. Please note that this class is booked directly with Thrive Yoga for Kids and space is limited.